I made this card earlier but have only just had a chance to post it now as we’ve just been out for a lovely Father’s Day dinner. The challenges I’m entering my card into are the colour challenge at Dynamic Duos, SU Only Challenge where their challenge is to create a projecting with Ribbons & Bows and the layout is from the sketch challenge at Cardabilities. Beautiful card. Love your color combo and the pretty flowers. You have a talent for combining pretty papers and making pretty flowers. 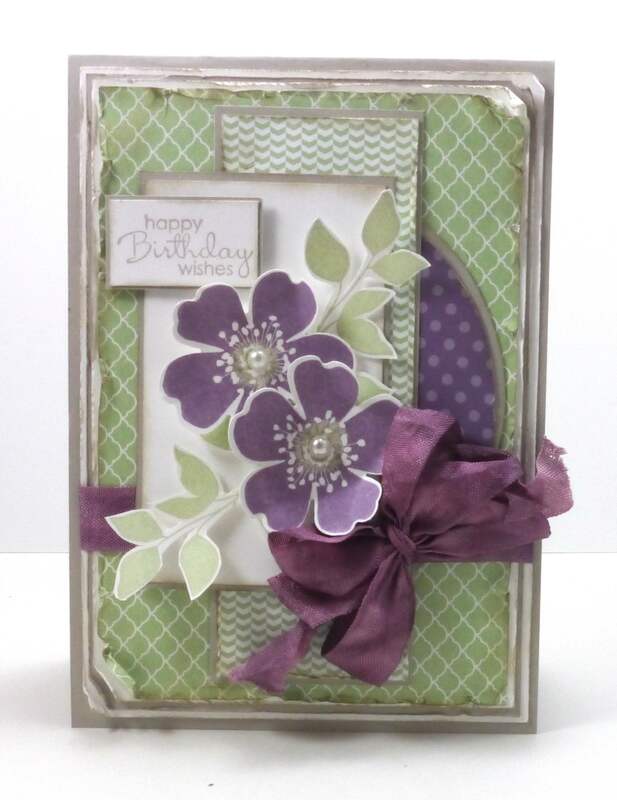 Love, love, love this card….the colors are so beautiful, muted yet so great together. The patterns of the paper are perfect…just lovely. I love your creations. So very soft and feminine. Your colors are just terrific! Thank you so much for sharing. Beautiful card. Love your color combo and the pretty flowers. Thanks for playing along at Cardabilities. I love your cards. Always great inspiration! Your bows always look so elegant, do you have a secret, mine never turn out like yours! A step by step ???? Lovely Narelle, so much your style whenever I see one of your cards pinned I know whose it is. So pretty. Such a lovely card. The bow adds a very nice touch. Thanks for playing along with the SUO Ribbon and Bow challenge. Beautiful card, Narelle! I love the colors, the depth, and the bow! Your bows are always fabulous! Thanks for joining us at SUO Challenges! Absolutely beautiful! I LOVE the shabby chic look and all the roughed-up edges. That bow is just divine! Wonderful job with the colours this week! 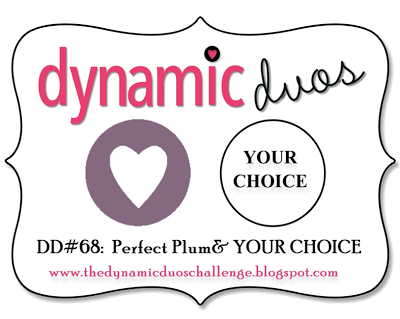 Thanks for sharing with us at Dynamic Duos! This is so very lovely! This would be a perfect card for my mom! She loves purple and with your lovely ribbon and fantastic layers, she would be delighted! What am I saying, I’m delighted! Who wouldn’t be? Congrats on being the top pick at Dynamic Duos! As always…STUNNING!!! Absolutely STUNNING! Thanks for joining the SUO Challenge! Great card! Love your colors! Very beautiful flowers! Thanks for playing along at Cardabilities. GORGEOUS shabby chic design…..so beautiful!! So beautiful. Love you stunning bow. Thanks for playing along with us in the cardabilities challenge and hope to see you again. WONDERFUL! 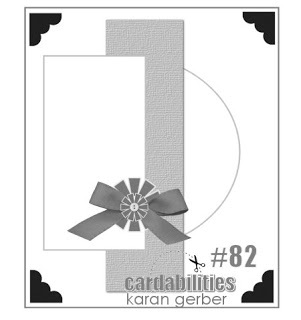 I love how you do those bows…great GORGEOUS card! Thanks for playing along with the ribbon & bows challenge on SUO Challenges this week! Beautiful card!!!! Love colour combo. Thanks for playing along at Cardabilities.